Fallout: New Vegas may never get the successor it so obviously deserves. This is not new information by any stretch, but each new confirmation of it pains us greatly. 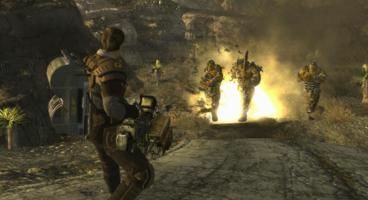 This latest ‘no’ has swooped in on the back of recent rumours that Obsidian Entertainment have been acquired by Microsoft. With lots of speculation on whether this means that Obsidian might tackle the Fallout IP sometime in the future as well, a user reached out to the official Obsidian Twitter, asking if there’s any chance that this is true. Some of you might remember them being hopeful about this way back when, of course. Obsidian responded cheekily, with the picture of a magic eight-ball saying ‘very doubtful’. Now, of course, this is not an absolutely definitive statement, and there have been cases of developers deliberately misleading the community in regard to upcoming titles, but things should definitely be put into perspective here. Not only has the understanding between Bethesda and Obsidian been soured by their financial interactions in regard to New Vegas (when no bonuses were dispensed), but it has also been the case that Bethesda haven’t been particularly keen on giving out the IP to other developers since. 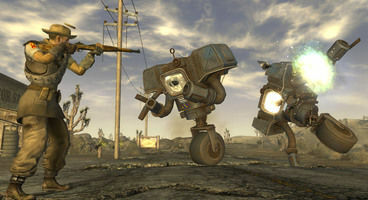 Realistically, Fallout: New Vegas 2 by Obsidian won’t happen, but something close to it might, using a different IP. Here’s hoping that Obsidian get to show off their talent in this area of development in the future as well.